Wheat straw is a natural, renewable material that could soon be used to produce a new biofuel for our cars. But how and to what extent is that possible? To answer those questions, chemical engineers and biologists are teaming up at an experimental site in northern Spain. Researchers say it's a promising candidate to become an even greener, more efficient, more sustainable and cheaper alternative to existing biofuels like biodiesel or ethanol. Inés del Campo is a Chemical Engineer for Cener in Spain. She says; "Compared to other existing biofuels, butanol is much heavier. This means it is much less volatile. And so it reduces gas emissions and it induces much less volatility at petrol stations or industrial instalations". However, transforming feedstock into a substitute for petrol requires complex mechanical, chemical and molecular processes. Irantzu Alegría is a Biologist for Cener. She tells euronews about the delicate processes involved. "We grind wheat straw into small particles. We then heat the reduced biomass to around 175°C for around 5 minutes and we add a bit of acid. This generates a substrate that is optimal for enzymes. These enzymes are going to reduce the long chemical chains in the substrate into particular molecules called "monomers". We then add microorganisms (bacteria) that feed on these molecules and directly transform them into butanol in an optimal way". In the United Kingdom, molecular biologists and biochemical engineers grew the right bacteria to be used in the process. Researchers´ first choice was with microorganisms showing high tolerance to certain chemicals. Holly Smith is a Molecular Biologist for Green Biologics. She tells euronews how they came up with this optimal option. "The main challenge was working with the feedstocks provided by the project. Because they have these inhabitory chemicals, which can basically stress out the bacteria during fermentation. So that is why we were developing strains of bacteria that are more tolerant to those chemicals". Scientists say their lab tests have shown the resulting butanol can be blended with diesel by up to 40% or with gasoline by up to 16%. Now researchers are thinking about the next stages of this potentially game-changing alternative to ever-elusive fossil fuels. Edward Timothy Davies is a Biochemical Engineer for Green Biologics and is also the Butanext Project Coordinator. 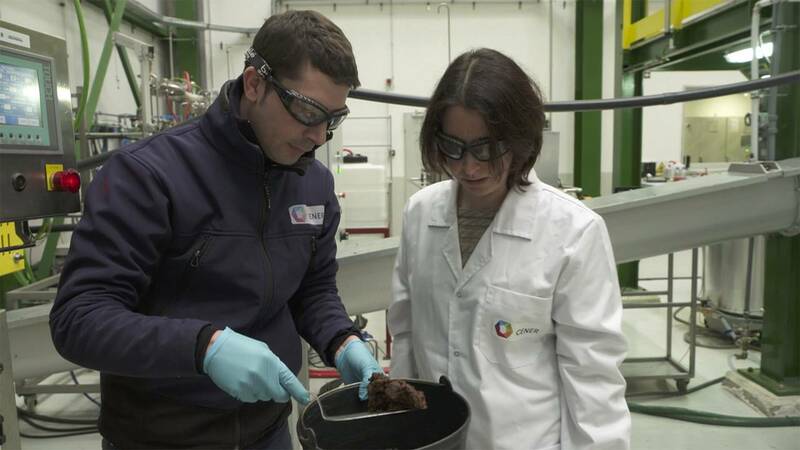 Julian Lopez Gome (euronews):"From a scientific point of view, how far are we before butanol is actually on the road?" Edward Timothy Davies:"So the technology exists to do that. The key is to get their production costs down. We are probably talking 5 to 10 years to get that commercial will. And then you need the regulatory will as well. And these regulatory changes won´t really happen until there is enough (commercial) drive for that". Scientists say they hope their work will contribute to the European Union's objective of having 10 % of transport fuel deriving from renewable sources by 2020.